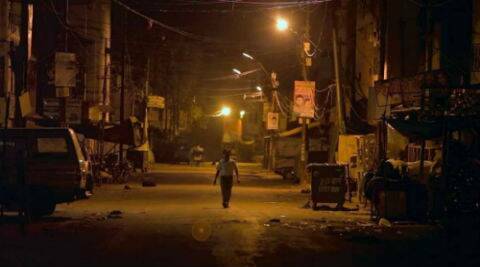 ‘Katiyabaaz’ is a documentary on Kanpur’s electricity hassles. The release of an 80-minute documentary on Kanpur’s electricity hassles against a big banner Bollywood film didn’t seem an alien concept to the makers of ‘Katiyabaaz’, who were confident of “challenging the mainstream”. Director duo Fahad Mustafa and Deepti Kakkar struggled for nearly three years to get a commercial release for ‘Katiyabaaz’ across almost 50 screens in the country. They now hope the film spreads its light far and wide. “We are sort of challenging the mainstream. We are trying to compete with the Bollywood space,” Mustafa told IANS in an interview. The co-directors were never worried – not even when a film festival organiser once told them not to call ‘Katiyabaaz’ a documentary because they are those films that are played before the “real film” begins. “That’s the kind of mentality that has existed and somewhere our intention was to break that. We didn’t want to go in to formulate Bollywood direction. Someone once told us this is a new genre. This is Bollywood documentary. Fahad and I were wary of accepting that tag,” said Kakkar. Made on a budget of over Rs.1 crore, the documentary has an entertainment factor too – courtesy music by ‘Black Friday’ fame Indian Ocean band. “We wanted the audience to be slightly entertained and carry something home. We wanted a band that would capture the flavour of the place (Kanpur),” said Kakkar. With a presenter as strong as production banner Phantom Films, co-owned by filmmaker Anurag Kashyap, Vikramaditya Motwane and Vikas Bahl, and funding from international sources, ‘Katiyabaaz’ had a limited release in cities like Mumbai, Pune, Bangalore, Hyderabad, Kanpur and Lucknow Friday. It clashed with a movie as big as Yash Raj Films’ Rani Mukerji-starrer ‘Mardaani’. But the duo is set in their mission to get more eyeballs for their work via word-of-mouth, and eventually, more screenings even beyond India. It’s this similarity and universality that they hope to cash in on. “The things are so familiar to everyone in the northern belt. Electricity goes off everywhere and after all it is a human story. You could supplant Kanpur with Ghaziabad or Lahore or Meerut – there will be the same story, and that works,” said Kakkar. The film, which won the coveted National Award for Best Investigative Film, has already been telecast in European countries and shown in theatres in countries like Italy and Britain. It will be on TV in the US in November. Bringing the film so far was not easy for the duo, who studied together in the capital’s St. Stephen’s College. It took them two years to make it and eight more months to bring it to audiences. Funds were a major hurdle. “We had no funds from India which was sad. We had reached out to a couple of people and they are still averse to take that risk in terms of getting returns on their investment. We were lucky to get funds from across the world. We got support from places like Busan and Amsterdam,” said Kakkar. “With a documentary, the kind of investment you have to make is a blind chance you take. You don’t know if you’ll take two or three or four years to tell the story. You have to support your crew on ground and most importantly distribution is such a complex beast that you don’t know how to recover all that investment,” she added. But having tasted success in bringing their project to shape, they believe times are changing. “Independent cinema is finding place in theatres and we are a part of that change,” said Mustafa.